This level has medium difficulty. For this level try to play more near to blockers or cake. 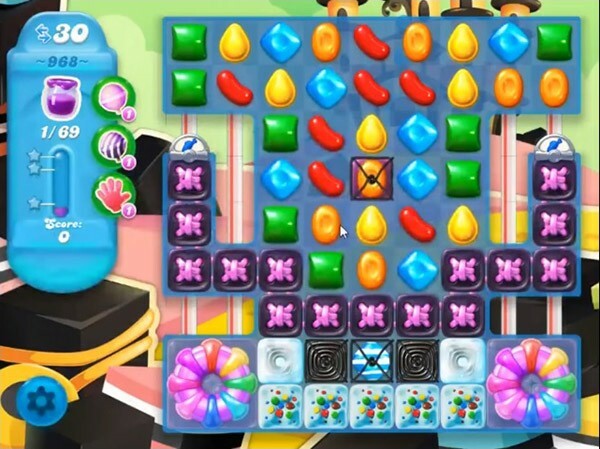 Make special candy as you get the chance to spread the Jam to near candies. Or play near to Jam to spread them to near candies. Getting as bad as CC!! 1) not enough moves 2) can’t even get to cake bombs, I’ve gotten one once 3) when you’re almost out of moves, you get some good combos 4) boosters are not helping…think some tweaking needs to go on!! For now, I’m done!! I pretty much feel the same way. Been stuck on this level for a month. I can’t believe they classify this as a medium difficulty level. Don’t give up! Do what I do when you’re stuck, don’t play for a couple of days, and clear your mind. Have fun, and try not to get frustrated. Eventually you will get a decent board. Don’t give up! Take a break for a couple of days, it will do wonders.